SOG SEAL Strike Partially Serrated Fixed Blade Knife | BUDK.com - Knives & Swords At The Lowest Prices! The SOG SEAL Strike Partially Serrated Fixed Blade Knife is your go-to knife for outdoor and underwater adventures. 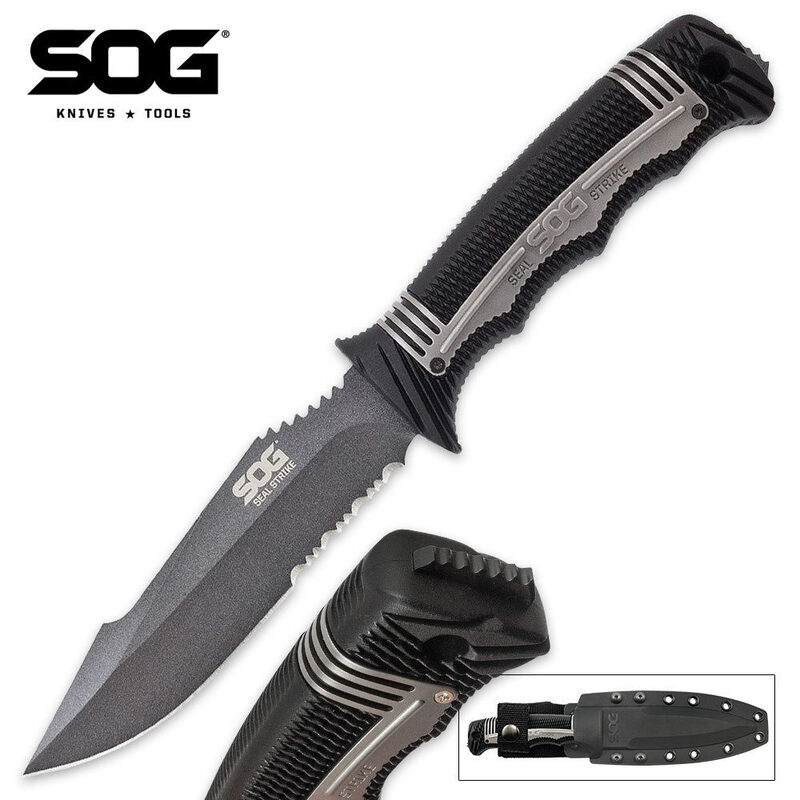 SOG took everything it has learned from years of real-world deployment and crafted it into this spectacular model. The AUS-8 stainless steel blade is partially serrated with a powder coat. The glass-reinforced nylon and stainless steel handle is textured and contoured for a comfortable slip-free grip. A hard nylon sheath is included to complete the package.